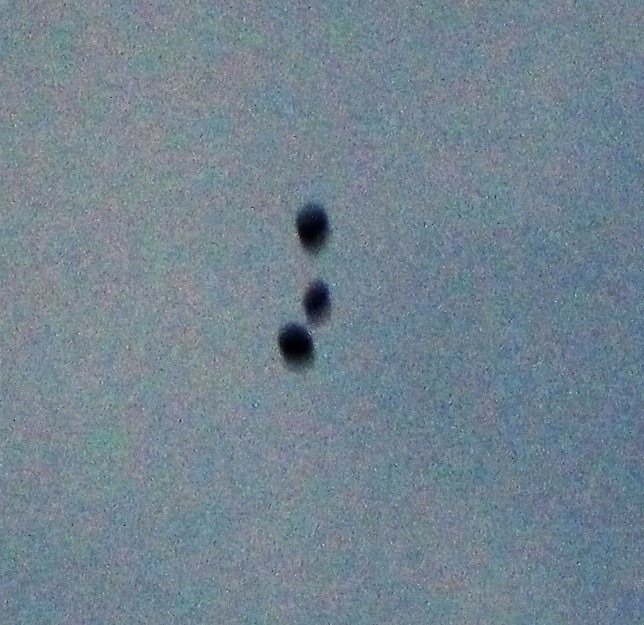 Three (3) black objects that appeared to be dancing around each other whilst crossing the sky. No lights or any detail seen. 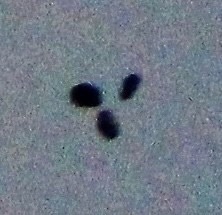 at the sky as I am a keen sky watcher where I observed three (3) black objects at high altitude in the West part of the sky. 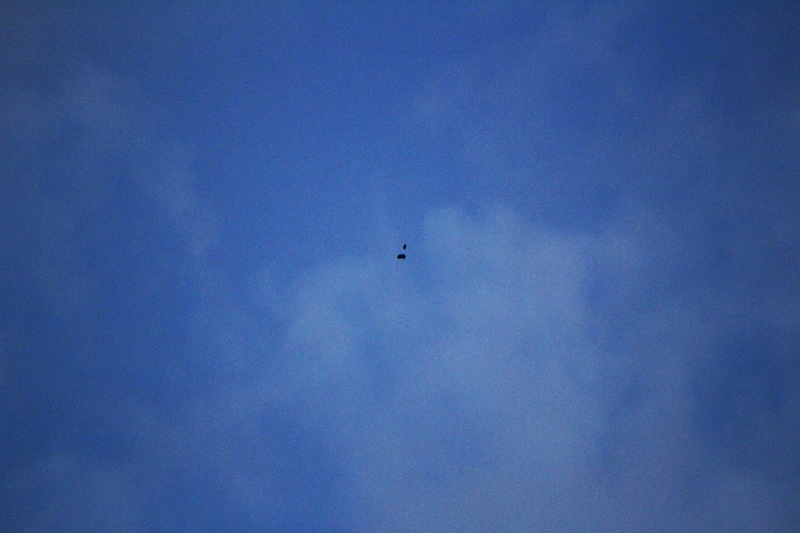 As they were crossing over to the East they appeared to be dancing around one another. 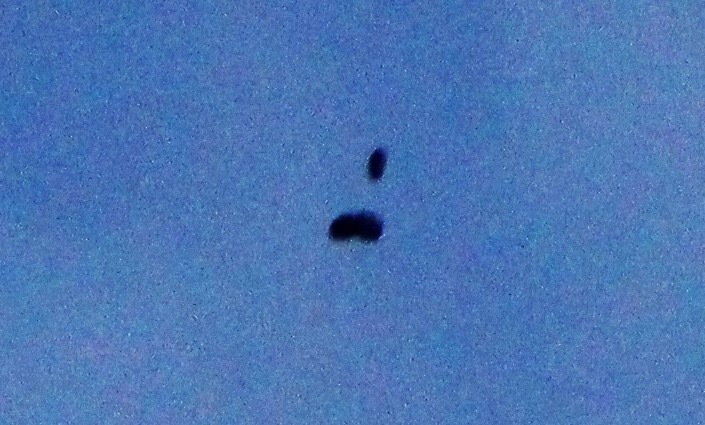 couldn’t see any detail apart from them being black, roundish objects that were changing formation. My wife took a look whilst I then got my DSLR and began taking photos. look up at the sky as we do seem to see quite a bit of unusual activity from time to time. Thank you BEAMS for your time.